Urban slums are home to 827.6 million people worldwide. In the United States, 48.5 million people live in poverty. Gaining access to affordable and decent housing is an increasing challenge and, believe it or not, reading and sharing book experiences may be a step toward finding a solution. A Habitat for Humanity book club in Minneapolis-St. Paul, Minnesota, is forging the way by encouraging dialogue and awareness around issues of poverty, race, immigration, and housing. Habitat for Humanity International works to provide stable housing for families and children all over the world. Habitat partners with volunteers to build and transform housing for families in need so the families can have a fresh start. Habitat is also involved in advocacy and educational initiatives to promote poverty awareness. In 2011, Twin Cities Habitat for Humanity formed a small book club made up of Habitat volunteers interested in learning more about poverty and issues of affordable housing. Since then, the program has expanded to include anyone who’s interested in joining on a month to month basis. The club has seen as many as eighty people attend a single event. “The book club gives our volunteers a chance to dive more deeply into understanding our community’s housing issues and to reflect on what else they can do to be a part of the solution. We hope that they will carry those conversations out into the community as advocates for affordable housing,” says Jill Kilibarda, education and civic engagement program manager. In the fall of 2012, Jim and Donna Nelson received an email from Kilibarda inviting them to participate in the book club. Jim and Donna have been doing Habitat builds for ten years, and even though they’re in their seventies, they don’t plan to stop any time soon. Donna has been an avid reader for years, so she was immediately interested in the book club. 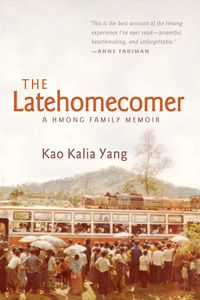 The title on deck for November was The Latehomecomer: A Hmong Family Memoir by Kao Kalia Yang. Donna had read the book already, but was eager to discuss it with a group. Years before, Donna volunteered as an ESL tutor and met a Hmong woman who came to Minnesota as a refugee. Donna gave her friend The Latehomecomer for her birthday. 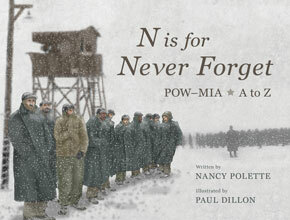 “I was on that bus,” Donna’s Hmong friend told her, looking with wonder at the photograph on the cover of the book. Leaving Thailand, she had traveled on a bus identical to the one pictured. 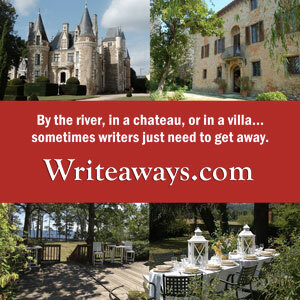 “Does it tell about the river?” Donna’s friend asked. “Yes,” Donna, replied. It did. The book told the familiar story of Hmong people fleeing through a dangerous river to escape to Thailand. Donna’s friend had experienced crossing the river with a baby strapped to her back, just as Yang describes in her book. Donna attended the book club meeting at William Mitchell College of Law where she heard the author speak. Sitting at round tables were dozens of other Habitat for Humanity volunteers and interested community members, including Pam Blomgren. Since reading The Latehomecomer and attending the book club event, Pam has felt a new sense of boldness to call people out for making derogatory remarks about the Hmong. “I’m not up for confrontation, but I feel equipped to say something now,” says Pam. Both Pam and Donna read Outcasts United last year, too. Written by Warren St. John, Outcasts United is the story of a soccer team in Clarkston, Georgia, started by a Jordanian woman to keep refugee children off the streets. “She worked with their parents and got them shoes to play the game,” says Donna. The event for Outcasts United was held at the Minneapolis Institute of Art where the book club members were divided into groups and led on personalized tours of art that related to the themes and motifs from the book. Donna also remembers a Hmong story cloth at the museum—a large cloth embroidered with pictures depicting the Hmong journey out of Laos. “The evening really hit me. This is her history, her background, how hard she has worked,” says Donna, thinking about her Hmong friend from ESL class. This Habitat book club also watches documentary films together, such as Race: The Power of an Illusion, which they watched last year. Talking about the educational efforts of this group, Donna says, “It’s made me much more aware.” The Habitat book club in Minnesota may be the only official Habitat book club of its kind, says Kilibarda, but it fits perfectly with Habitat’s international mission. “Habitat’s mission is bigger than the number of homes we build or preserve each year. Our mission is that one day EVERYONE will have a quality affordable place to call home, and our book club is a place for generating the ideas and advocacy that will be needed to get us there,” says Kilibarda. “Try it once. Try one book. Try one meeting. I would be very surprised if it didn’t have an impact. It’s very worthwhile. And it’s free!” says Pam. Even if you do not have access to the Habitat book club in Minneapolis, it’s possible to join in the conversation to raise your own awareness about poverty, immigration, and housing issues in America. The books, listed below, can be checked out from your local library, so all you need is a group of people willing to dive in together. “I don’t know how you can read the books and not be touched,” says Pam. 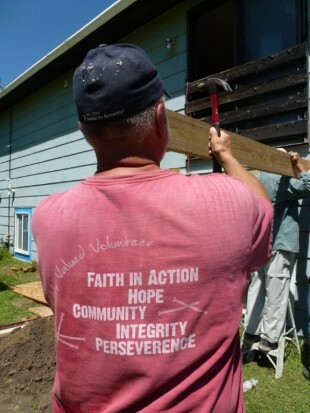 Featured photo: Jim Nelson volunteers for Habitat for Humanity.